When I started out to restore Sylvia, I knew I wanted to do it in a way that was true to her history. Every detail needed to be correct. One does not own an antique, we are caretakers. That’s the deal we make with the gods of old charming things. But one thing was for sure, she was going to get an epoxy bottom. I left her sides alone. Re did her decks in the original way. Cloth covered wiring, Real leather.. all of it. But the bottom needed to be safe, and a no soaker. I agonized over this. But made the choice to go for it. And man oh man am I glad I did. 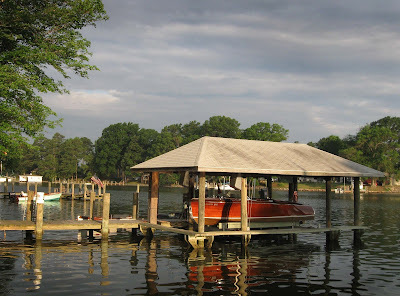 When I am gone for the week from my dearest, she can sit up on a lift away from the other boaters wakes and tough wind. Crap doesn’t grow on her, and when I want to I can slap her on a trailer and take her to fun and interesting places. Thats the charm of 5200. I was also happy to find out that in the judging world, its OK. Just be neat about it. Now mind you, two perfect boats side by side, one epoxy one non. Thats another story, and has happend.. I for one would be glad to loose a point. And then trailer away to another place, not worring about my bottom.. I Hope You Had A Great Classic Boat Weekend. We Did! What Would You Do? 1933 Robinson SeaGull With A Surprise Inside!